Senator Harry Reid’s involvement with BLM is evidence of how Agenda 21-led policies are rapidly seeping out of the Capitol Hill swamp and into the rest of the country. Liberal oriented media, along with their neo-conservative counterparts on the right, are once again reading from the same page and conveniently over concerned with Cliven Bundy’s alleged ‘racist’ comments than they are about Americans’ having the ability to retain their inherent constitutional rights as a whole. The ‘race storm’ media buzz turned out to be a well-crafted hoax, engineered by left-wing Media Matters and the New York Times, and a deliberate attempt to divert the public’s attention away from the federal government’s despotism on display two weeks ago in Bunkerville, Nevada – the latest federal power grab in a frightening trend which is presently overrunning creeping across the United States today. Former Nevada Gaming Comissioner, now Democratic Senate Majority Leader, Harry Reid, appears to have made a lucrative career out of ‘gaming’ the political system, seemingly for his own personal gain. His role in the siege at Cliven Bundy’s ranch in Bunkerville, Nevada, has only started to unfold, revealing highly questionable business links to the Chinese energy corporation ENN, through its Nevada counterpart ENN Mojave Energy. The land deal was reportedly a steal for Chinese business investors, who were set to receive a sweetheart deal of 87 percent discount for the shadowy land purchase. Reid has also maintained a longstanding history with the Bureau of Land Management (BLM) in Nevada, a corporate division of the US Department of Interior. The BLM oversees public land acting as a manager for the United States government and Reid and his crony associates have been caught distorting laws for development projects across the state of Nevada for many years, abusing environmental protection clauses to ‘fast track’ unsavory land deals. Reid worked behind the scenes with BLM to change the boundaries of the desert tortoise’s habitat to accommodate the planned development of a top financial donor, Harvey Whittemore. For self-appointed oligarchs, it’s always important to keep the money in the family, and if one member of the family controls the political strings, then it’s a fairly straight forward operation. Harry Reid, the highest ranking Democratic Senator, is said to have been busy brokering a $5 Billion dollar deal to secure a solar farm site in Laughlin, Nevada – through his son Rory Reid, a shareholder and attorney at Lionel Sawyer & Collins, who is heading the law firm’s Gaming and Regulatory Law Department. This cozy little set-up violates all fundamental ethics regarding an elected official’s conflict of interest code, but these days in Washington DC, guilt-free corruption has become the norm, as Senators spend most their quality time lining theirs and their family’s pockets while in office – with the US taxpayer covering all of their ‘business overheads’. Harvey Whittemore, was a senior managing partner at Rory Reid’s law firm, Lionel Sawyer & Collins, and was once the firm’s top lobbyist. A close friend of Harry Reid, he was convicted on three out of four felony charges and sentenced to two years in jail for contributing nearly $150,000 in illegal funds to Senator Reid’s re-election committee in 2007. In May of 2013, a federal jury found Whittemore – a close friend of Reid’s, guilty of the charges levied against him and he was ordered to pay $100,000 dollars in fines and is set to serve time behind bars. Incredibly, but like so many scandals of this sort, Senator Reid managed to brush off his part in the corruption scandal, most likely with the help of ‘friends’ in high places – possibly some in the White House. Another solar farm company Brightsource Energy was slated to benefit greatly from the Whittemore Coyote Springs development and all the perks that came with the federal land easement. The land was leased to Brightsource from Whittemore’s company and was considered a fast track land deal and federal money received through the American Recovery and Reinvestment act (ARRA) that was granted to Nevada via a government stimulus. Harry Reid reportedly received more money from alternative energy for his campaign than any other lawmaker. In 2003, Whittemore is said to have sold company interests in the Wingfield Nevada Group and its affiliate LLC, Coyote Springs Investment to Thomas Seeno and his brother, Alberto Seeno, both development corporations were linked to a $30 billion dollar land deal on 43,000 acres just North of Las Vegas. The Seenos’ a 70-year Nevada family dynasty, with alleged ties to organized crime, became the subject of a federal investigation by several agencies in 2010, for a number crimes including tax debt, extortion and fraud. The corruption in this story leads right up to Washington DC. In 2007, the Seeno family reportedly contributed $38,800 dollars to Harry Reid’s re-election bid. Congress moved for ‘Federal easement’ in 2004, accepting Whittemore’s $10.4 million dollars penance payment in the process while pushing the Coyote Spring’s project forward. Whittemore’s Coyote Springs company and the Bureau of Land Management was subsequently sued by two public lands issue groups over what was said to be an illegal land swap in 2006. Senator Reid has been said to have helped facilitate Whittemore’s corrupt Coyote Springs development project by procuring the necessary ‘environmental waivers’. In 1998, Whittemore paid a defense contractor named Aerojet-General Corp $15 million for the title of the privately owned land for the Coyote Springs site. He also managed to negotiated for the same “rent-free government lease of the tortoise habitat” for his new friends. Whittemore was said to have pushed for an “unrestricted use” of the tortoise habitat within the project area. The suit against BLM and Coyote Springs was upheld by Nevada Governor Brian Sandoval, who was a District Judge in 2007 prior to defeating Rory Reid in the race for Governor in 2010. Sandoval has seemingly been engineered for a future Vice Presidential slot. Interestingly, he’s also said to be one of the few GOP Governor’s in the United States that is actively implementing Obamacare much to the chagrin of those on the right and those for individual sovereignty on that issue. The Governor of Nevada was also named in a court case involving the Employer’s Insurance Company of Nevada (EICON) while he was Attorney General, accusing Sandoval of taking part in or at least turning a blind eye to a multi-billion dollar transfer of funds over the last decade involving the insurance company – when it should have been put in a Trust held at the Nevada State Treasury. While Sandoval has initially come out in support of the Bundy’s during their standoff with the BLM and stifled some controversial land deals during his time as a District Judge, though it should be noted that his interests in these events should be held under scrutiny. In the political den of corruption that is Nevada, public officials spend a great deal of time and effort reinventing their public image in order to ready themselves for their next step up the political latter, as the political machine in Nevada feeds directly into the Washington DC machine. In 2010, Utah Attorney General John Swallow was also implicated, apparently helping to engineer what has been described as a ‘bribe’ between a well-known Utah businessman Jeremy Johnson, and of course… Senate Majority Leader Harry Reid. A lawsuit filed by the Federal Trade Commission (FTC) led to an investigation into Johnson due to credit charges and for allegedly misrepresenting products that were sold through a company called I Works and its shadowy collection of ‘shell’ companies. It has been said that Johnson’s company took in around $350 million dollars between 2006 – 2010. Even though it appears as though his business practices were unsavory, he contends he was made to believe he could pay Harry Reid $600,000 dollars to make the federal investigation into his company ‘disappear’. Once again, and somehow – the scandal doesn’t stick to Dirty Harry. 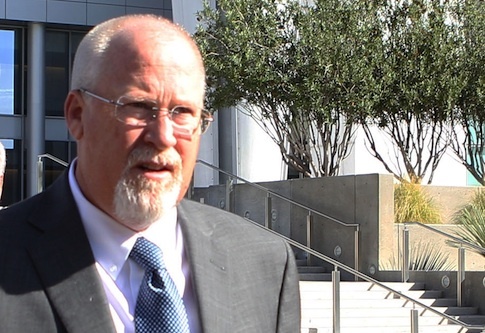 There have been other alleged connections to organized crime for Senator Reid, perhaps most notably through Attorney Jay Brown, a lawyer with his feet close to the casino mob fire, and a longtime family and business associate of Reid’s. Brown has been the subject of numerous investigations over the years and in 1981 settled a federal securities case out of court. In the late 1990’s Reid apparently bought two plots land in Nevada, one outright and the other with Jay Brown and in 2001, Reid sold it to a company created by Brown for an equal share in the company. Reid never disclosed this sale to Congress, and in the process the land was still listed as an asset. Reid reportedly collected $1.1 million in the process. Reid’s name was never formally attached to Brown’s company, however in 2006, he filed a correction to his ethics form for a ‘better representation’ of the land deal that took place. Again, the scandal somehow slides off the back of Senator Reid. It appears that BLM, Senator Reid, as well as a host of shadowy casino characters and corrupt lawyers – have gamed the system when it comes to Nevada and Utah land deals, operating a golden circle of business seemingly outside of anything that would be considered ethical, or even legal for that matter. 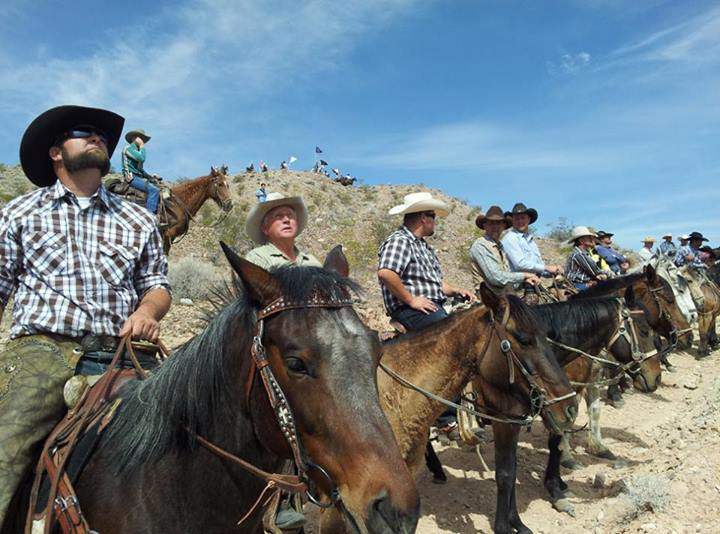 Unabashed and with the blessing of President Obama, the BLM are reportedly ready to grab another 90,000 acres of privately owned land in Texas after being turned away at the Bundy ranch in Bunkerville, Nevada. However, some have suggested this event has been a staged provocation between two historically powerful families (Bundy & Reid) meant to gauge public reaction and potentially propel the patriot movement into dissolution. There is nothing concrete to support this claim and it could be seen as a diversion. In addition to Reid’s BLM connections, there has been other disturbing news out of Nevada, implicating Special Agent in Charge of BLM, Daniel P Love and his alleged interest in the BLM siege at the Bundy Ranch, lying to the public about the BLM’s illegal killing of cattle, as well as his unconstitutional stance against the Bundy Family, its property, residents and supporters. This has been covered extensively by Pete Santilli and his GMN team through various audio conversations and people close to the situation in Bunkerville. This is a side of the story that will undoubtedly continue to develop in weeks and months to come. When discussing political and financial dynasties in America, it’s important to understand the power structure behind many family names, as it allows one to glean an overall picture of power and control that often stretches beyond US shores and throughout the world. The Reid family bloodline is certainly no exception, and it’s interesting to note that Harry Reid has been aided throughout his political career by carefully utilizing the ‘rags to riches’ narrative regarding his upbringing. While he may have been brought up from humble beginnings, his family name is nonetheless deeply entrenched with that of the Rockefeller’s and elite society as a whole. The New York Herald Tribune was owned by the Reid family, and several of their family members have been linked to the powerful secretive group called ‘The Pilgrims Society’. Notable family members include Whitelaw-Reid, Ogden Rodgers-Reid and Ogden Mills-Reid – all publishers and journalists of the well-known American media giant. The Pilgrims Society has been considered by some as the transatlantic steering body which allow British elites and members of the Royal Family to direct developments in American politics and society, with a list of elite American and British members and patrons – and a membership strictly kept to white Anglo-Saxon protestants. It’s believed to be the backdoor by which European elites are able to wield an undo influence over American affairs. In understanding some of the deep roots of American hereditary power, another connection that cannot be overlooked, are Pilgrims Society members, the Gould family, as they’ve seemingly played a role in supporting Reid Family enterprises through financial means, and consolidating family power through intermarriage. Throughout history and until today, we’ve seen this kind of family monopoly strategy in the US and Europe, as certain well-to-do families have married into one another. This could vary well be the case in Senator Harry Reid’s life as well, with his marriage to wife Landra Gould. Not surprisingly, many Pilgrims members are in support of the United Nation’s sustainability projects and have undoubtedly played a role in the creation of the UN’s Agenda 21 sustainable land reform edict. No surprise then that both Edmund de Rothschild and David Rockefeller were listed as notable members of the Pilgrims Society – and during the Rio Earth Summit in 1992 they made their end-run push for the adoption of Agenda 21. The Pilgrims are also said to have heavily infiltrated the Council on Foreign Relations, and other clandestine steering committees and think-tanks. The Pilgrims Society has also managed to gain influence and control over a chunk of the media operations in the United States and are said to have even had a hand in implementing the CIA’s notorious domestic propaganda program known as Operation Mockingbird through powerful Pilgrims-run media outlets like the New York Times and Time Magazine. This secretive group has also been linked to the planned 1934 false flag coup on President Franklin D. Roosevelt through the American Liberty League, reportedly backed by many notable wealthy bankers. This concept was partially echoed in the John Frankenheimer feature film, Seven days of May, made in 1964, depicting a secretive plot to overthrow the president. The well respected stalwart and United States Marine Corps major general Smedley Butler alerted a congressional committee about a fascist scheme that was dubbed the Business Plot allegedly to overthrow Roosevelt. As American dynasties go, so do their European counterparts, and the two even intermarry occasionally. In the case of Reid family dynasty, an apparent stronghold has been developed in the state of Nevada, but could be in jeopardy should the Senator and his son’s shady influence pedaling and under the table dealing be given a proper investigation. It’s safe to say that many Americans have become disillusioned with the dirty and corrupt political life taking place in Washington DC, and that the insider trading culture is now a clear and present danger – and now poses a direct threat, to the integrity of the US Constitutional Republic.